Valentine’s Day is upon us again, the international day of love which has a special meaning for everyone. More and more Australians are celebrating Valentine’s Day each year and as a result, there is a lot of online shopping being done. Most people use this time to buy something nice for their loved one, which marketers can take advantage of. If you are smart, you can leverage this time to give you a huge profit in your business. It is time to tune your website and make it attractive to your audience before it is too late. Here are some of the tips to do that for your business. This celebration is mainly about couples and their love for each other. Playing this 2-for-1 deal can be lucrative for your business. If you can offer a buy one, get one free offer, then the better for you. Most people will look for opportunities where they can buy two things for the price of one during this time. You may not be able to offer physical products, but you can still do it for services that you provide. Advertise this deal on your social media accounts to get people talking about it. It does not make sense to launch your campaign after Valentine’s Day. The number of searches past February 14th drop drastically hence you need to start things off early. People will visit your site more as the interest in this day starts to build up. You could kick off your campaigns in January to target the early shoppers and those who like to avoid Valentine’s Day rush. Keywords are crucial in targeting the specific users you want to reach out to. According to research, many people gift their wives and husbands first, then proceed on to friends. These should not be overlooked. Remember also that single people buy gifts too. Some even celebrate with their family and pets. You could expand your keywords to include them also. In all this, the best thing to do is to research your target audience before you study your keywords. It is the season of love. You could help your followers to get into the spirit of love by adding some romantic flair to your pages. Ensure that your brand shows that it also celebrates the holiday. This will entice potential customers making them more willing to check out your stuff. There are always people who wait until the last minute to buy gifts. You could take advantage of that and come up with a last-minute gift guide for them that showcases the products or services that they could buy for their significant other from your site. Pick items that are romantically themed and that they will love and this may encourage them to share it on YouTube or your other social media accounts. This will come in handy for those who have no idea what to buy. Mobile searches keep increasing yearly with more searches now being performed on a mobile device than a desktop device. People are buying via their mobile phones and also sharing images to get feedback from their loved ones. This is where marketers come in to improve mobile ads so that you can reach your target audience. Optimising your mobile sites to be fast and efficient is vital to increase your audience. You could set up AMP versions of your site’s pages for the customers to have access to. You could also ensure that images and videos are compressed to load faster and that you have picked the right dimensions for the pictures. All this will give your customers a better experience on your website that they will love. The worst thing to experience as a business owner is when your server crashes because of traffic overload. It can be devastating for you and also drive your customers away as many of them will be in a hurry and don’t have time to wait for pages to load. This issue mainly happens when your audience is too big for the site to handle. It can be embarrassing for you, and it can lead to losses in revenue. I recommend you test your server and ensure that it is ready for any disasters that may happen. If you’re not sure, you should get it checked out in to minimize the chance of it crashing on Valentine’s day. One of the things that you can also try out is partnering up with another business in your campaign to help you get to a bigger audience. This partnership should be one that benefits you both mutually. This way, both of you should be able to effectively double your previous capability, and also help you pick out some new customers. You should, therefore, pick a business that is not a direct competitor but one that complements the products/services you provide. 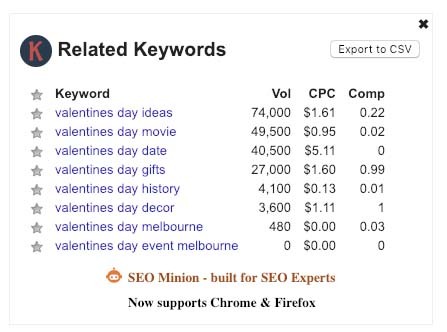 Valentine’s Day is a special occasion that cannot be ignored by marketers, not only in Australia but also globally. It is an opportunity to increase your sales and profits. It may last for a short period, but if you start early and follow the points above, you will be able to take advantage and have a successful campaign for this day of Love. 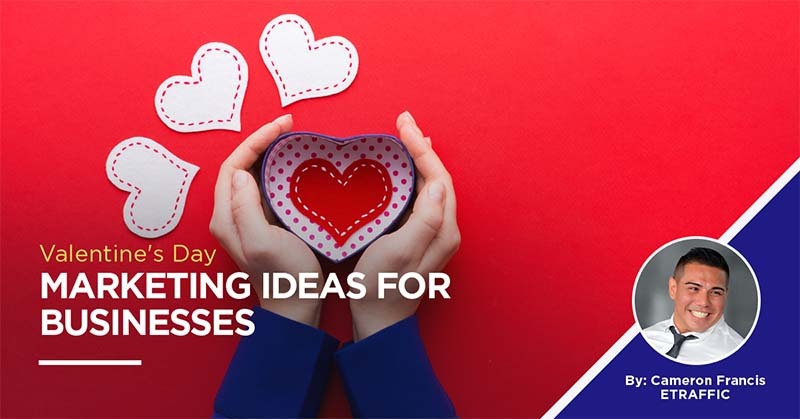 If you are looking to develop some fresh marketing ideas to help generate more sales over Valentine’s Day, but not sure where to start,? Book in a free strategy session with one of our business growth specialists today.